Ever since The Bourne Legacy was announced, I’ve felt nothing but skepticism. The first three films wrapped up Jason Bourne’s story quite nicely, and wasn’t eager to see it rehashed with a “new” character. There didn’t seem to be anyplace else to go with the material, especially if they wished to coast on the style established by the first three. I also wasn’t keen on seeing an installment that wasn’t based on one of the Robert Ludlum novels. 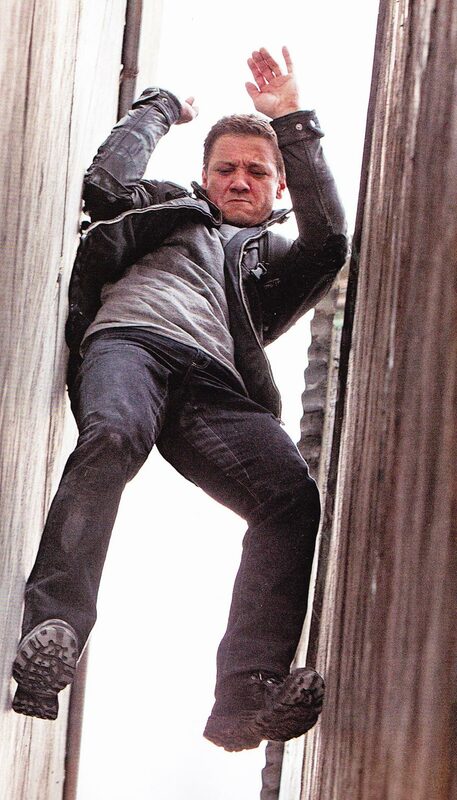 As far as I was concerned, the only saving grace of the entire endeavor was the presence of Jeremy Renner. I loved him in The Town and I like him well enough in The Avengers. While the first teaser trailer did absolutely nothing for me, the new one has caused me to put my skepticism in check. In The Bourne Legacy, Renner plays Aaron Cross/Kenneth Gidson, who is an agent for “Operation Outcome.” The program is a new and improved version of “Operation Treadstone,” which produced superspy Jason Bourne. The trailer seems to suggest that The Bourne Legacy takes place, at least in part, concurrently with the events of The Bourne Ultimatum. Jason Bourne’s name is continuously invoked throughout, as are any and all connections to the other three films. The audience goodwill generated by those previous installments is considerable, and the filmmakers seem to be banking on it. Tony Gilroy has taken over directing reigns from Paul Greengrass, and the aesthetic differences are readily apparent. Gilroy isn’t a stranger to the franchise, as he co-wrote the first three installments. He doesn’t seem to be as much a fan of the “chaos cinema” approach as Greengrass is. The camerawork is more static and controlled. The differences really become clear during the brief glimpses of action. The fight scene shown is a bit more visually coherent, though it’s clearly been shot and edited to hide the athletic limitations of the star. The trailer ends with one show stopper of a stunt: The hero leaps off a roof and slides down the walls of an amazingly narrow alleyway to rescue a damsel in distress. This franchise just might have a few tricks left up its sleeve. For the first time since it was announced, I’m actually willing to find out. I TOLD YOU!!!! I had faith from the jump based on Renner and Tony Gilroy being a part of this. It looks totally solid and I can't wait to be their August 3rd. Hmmmmm...what will be the bigger August Action Movie surprise..this or Total Recall? ?